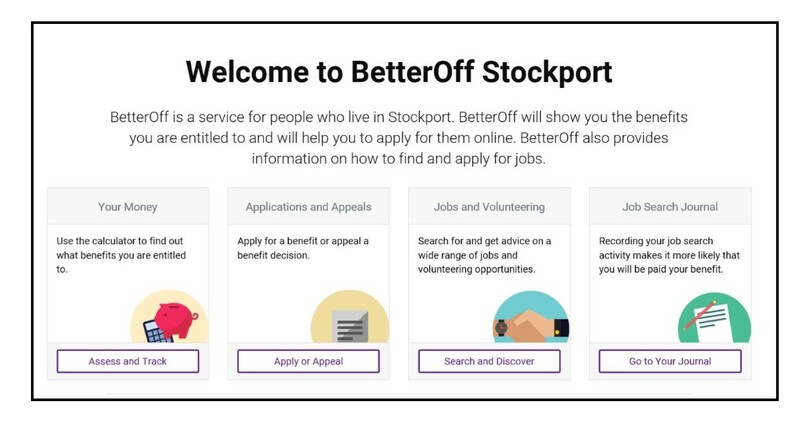 ‘Better Off’ – a new Benefits and jobs website – has been launched this week as part of the Digital by Design Programme to increase residents’ use of Digital Services. 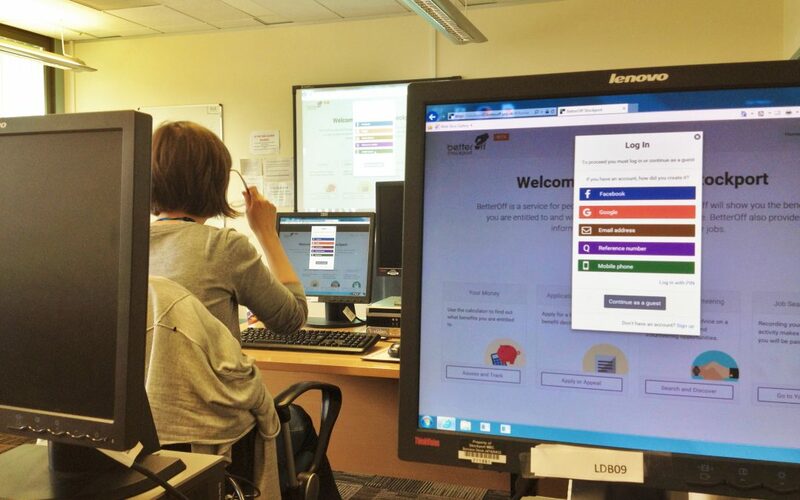 We’ve been trialling the website in ‘Beta’ form since March and we’ve carried out two months of training among many different Services and Partners. We’ve had extremely useful feedback and we are now confident that the website is ready for a wider audience. The website has been developed as a result of research conducted that has established that up to 80% of people would be able to self-serve for Benefits and Employment support needs if given the right tools to do so. The fact that the Benefits landscape is extremely complicated and there has been a real gap in the provision of online employment support has been a major hindrance to achieving this aim. Benefits advice and employment support activity is very important to many departments and organisations across Stockport. Better Off makes it much easier for advice staff and support workers to access information about Benefits in a way they can understand and use. You don’t need to be an expert on Benefits to use it and it avoids any delays waiting for an advice appointment. Training has taken place over the past few months with over 100 people from SMBC departments and teams from the Citizens Advice, Stockport Homes, Disability Stockport, Age UK, Pure Employment and many others. Better Off uses as a starting point the major concerns of many of our service users: managing their money, getting what they are entitled to and finding work. We decided it was the right platform for us because it brings together a number of different tools that meet the needs of this group. It’s not just about claiming Benefits – it also highlights the importance of work and meets the needs of both people who are trying to move from Benefits into work and those who simply are looking for a new job. Better Off contains a comprehensive benefits assessment calculator so customers or staff are able to input their circumstances and receive a detailed summary of the Benefits that they are eligible to claim. The customer is then only presented with the forms that are relevant to their entitlements. This simplifies the overall applying for Benefits process and ensures the customer is not overloaded or distracted by irrelevant content/information. Many benefit application forms come with an accompanying booklet of guidance notes. Switching between the form and the notes makes the forms difficult to complete. Better Off has taken the guidance and embedded it into the form and added extra help written by experts including our own Welfare Rights Officers which means a claimant can fill out an array of benefits and appeals forms without needing to see an advisor in person. As well as written guiding content, videos are available to guide users through the various Benefits and Appeals processes. Some of the Benefits forms can be lengthy (over 50 pages), and can take an advisor considerable time to work through with the claimant. By creating an account Better Off stores and saves the progress of a claimants’ forms, allowing people to pause part way through an application, then return and edit their forms at any time. BetterOff provides information on budgeting and money matters as well as providing links to partner organisations (e.g. Welfare Rights). All content is written for web in plain English to ensure accessibility. 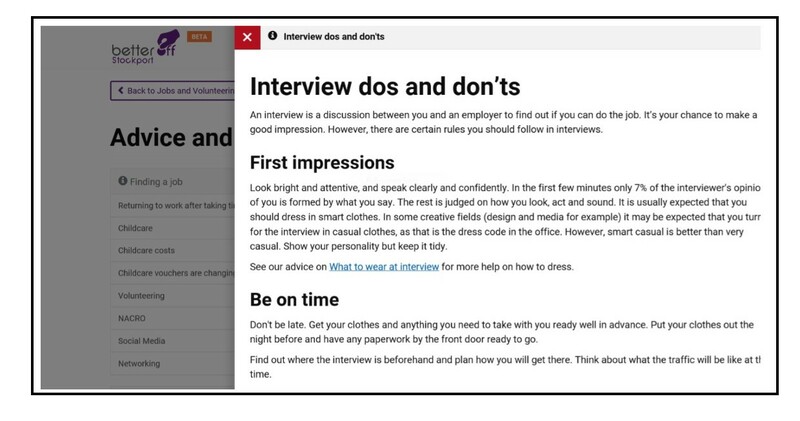 We particularly like the link with employment as it brings together all the job search websites in one place with the added richness of lots of practical advice in relation to the ‘softer’ support individuals may require to set them up for returning to employment: finding childcare, writing CV’s, preparing for interviews etc. 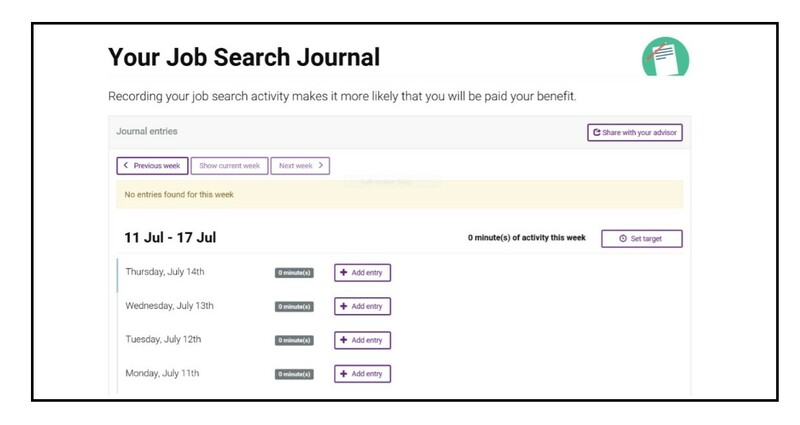 The beauty of the Better Off Job Search Journal is that it records the level of effort that’s been put into job searching in a way that can be shared with the Job Centre to support a Universal Credit claim. Better Off was started by Kirklees Council and offered to other Local Authorities towards the end of last year. We have been able to add Stockport information onto it and personalise the experience to Stockport. We have also suggested a number of improvements and developments that have now been applied to all other Authorities using the platform. This iterative and co-operative style of software development is a good fit with the Agile methodology we are adopting in Digital by Design.